How many times can you use a Towel before It Needs to Be Washed? "How many times can you use a Towel before It Needs to Be Washed?" Every time after taking a bath, we use our towels to clean our self... But, the Question is.. How Many Times Can You Use your Bath Towel Before It Needs to Be Washed? According to Yahoo, Consumer and environmental health agencies suggested that you can only use your towel at least Three or four times and wash it. Using it longer than that your towels can breed bacteria and mold. Using a towel for a long period of time without washing it will start to smell, because of the moisture which helps bacteria AND fungus (i.e. mold) grow. Bacterias can be killed when you wash your towel, but fungus is extremely hard to get rid of - and cleaning it won't really do much. 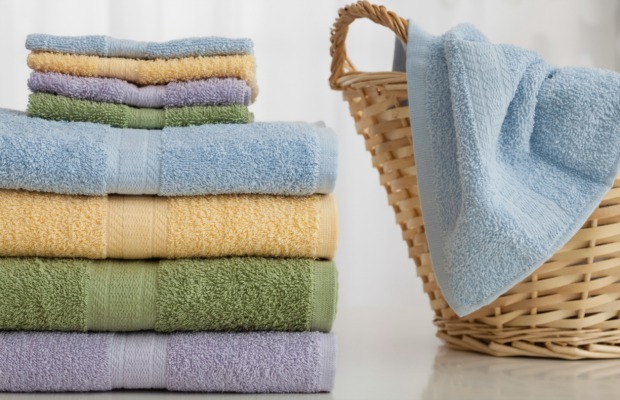 After using your towel, Spread them out on the rack (not bunched up) so they dry thoroughly. Before taking a shower, open the door and, if you have one, turn on the bathroom fan while bathing, so the air is less humid. If your in a humid environment where towels cannot be dried completely, a new towel needs to be used for each shower/bath. Remember, At least have more than one towel so that when you wash your towel.. you can use the other one and rest one towel to dry properly. So Tell us, How Many Times Do You Use A Bath Towel Before Washing It? BongoToday.com - Entertainment and Lifestyle : How many times can you use a Towel before It Needs to Be Washed?